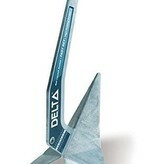 Its unique shank profile and ballasted tip make the Delta® anchor self-launching. 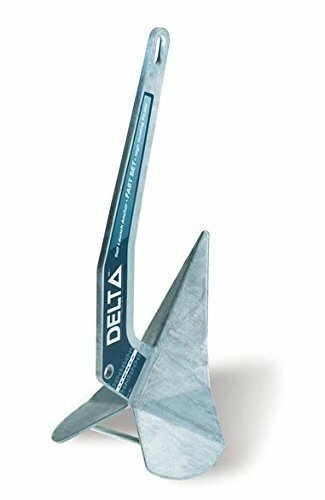 The low centre of gravity and self-righting geometry ensure that the Delta® anchor will set immediately. 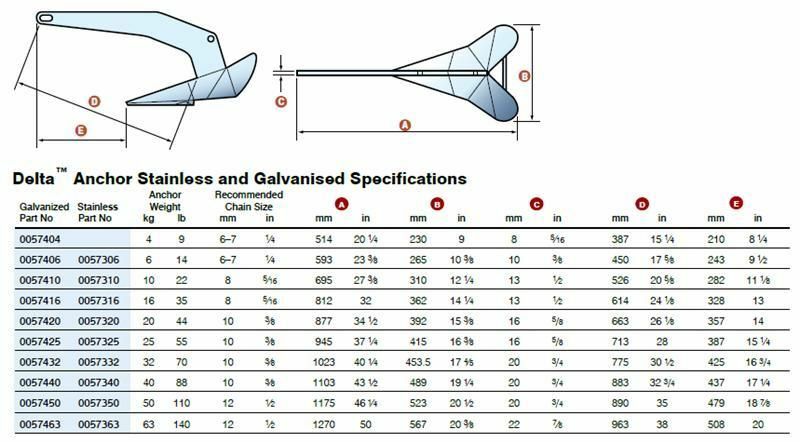 Consistent and reliable in performance, the Delta® anchor has Lloyd's Register General Approval of an Anchor Design as a High Holding Power anchor and is specified as the primary anchor used by numerous National Lifeboat organisations. 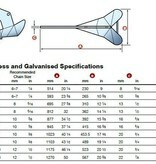 Also available in premium grade Duplex/High Tensile stainless steel. 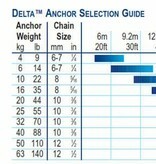 All Delta® anchors are "guaranteed for life against breakage". Lloyd's Test Certification is available for individual Delta® anchors by arrangement.